I was reading Bleeding Cool between its constant barrage of annoying advertisements and read an article by Dan Wickline which was well thought-out but I still completely disagree with. 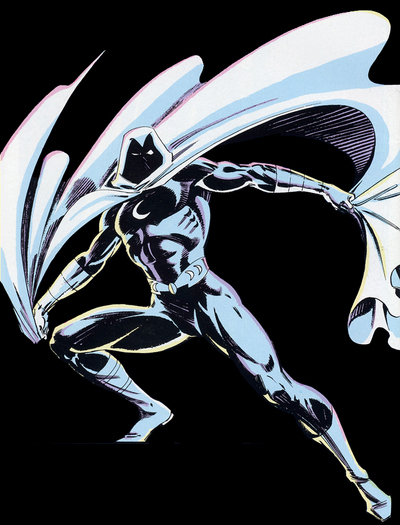 Basically, his argument is that Moon Knight as a character would not work as a Marvel movie and instead should be something along the lines of a Netflix show. To this I say, "Nope." Wickline uses the argument that Marc Spector AKA Moon Knight has too complicated a origin, too many personalities, too much of this-and-that to be fit into a film whereas 10 episodes of a show might help. I find this argument immensely flawed in that there are characters within the Marvel Cinematic Universe that had existed for decades more than Moon Knight with lots more comic-issues yet they were made into film characters. Plus, it isn't like certain aspects of Spector can't be tweaked for a movie, that's been done countless times for characters on the silver-screen. Plus, no offense to the Marvel Netflix shows but they can oftentimes feel really padded-out with all those episodes. 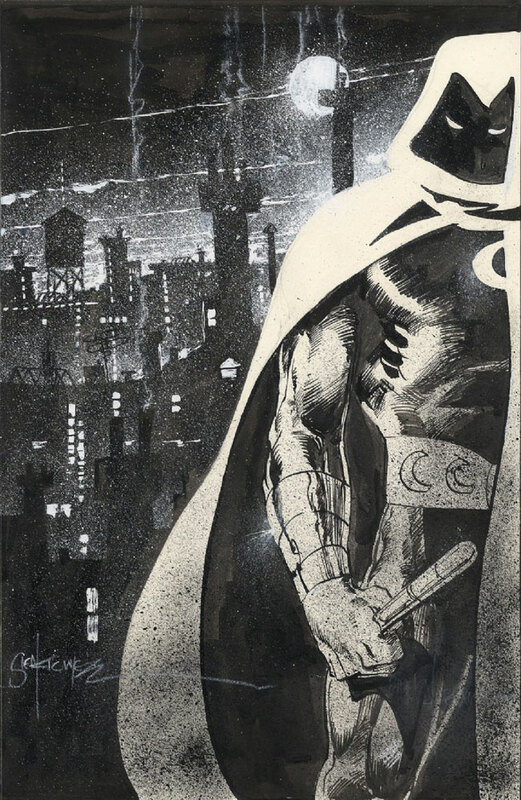 I'd love a tight, focused 2-hour Moon Knight movie much more than a 10-hour Netflix series, I think. Also, the Netflix shows basically aren't in any kind of continuity that is the same as the movies (the Marvel TV projects don't really cross-over with the movies), and I'd love to see Moon Knight interact with the Avengers, something that will never happen if he is on Netflix. A movie starring Marc Spector as Moon Knight may be challenge, but it is clearly doable and could be something amazing. I would much rather see him as a member of the Marvel Cinematic Universe than relegated to the sidelines in a Netflix series, and I hope someday soon we see one of my favorite characters on the big screen. It's a Great Weekend for Comics!